We are engaged in offering our clients with Hexagonal Head Bolts that are known for their high quality, accurate designs and high efficiency. Represent the perfect fusion of quality raw material, our bolts are developed using latest cutting edge technology. 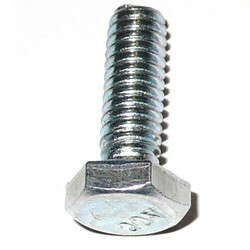 Furthermore, our bolts are used in various industries and are available in different sizes and dimensions at market leading prices.